There are lots of things to do around the Perth area. 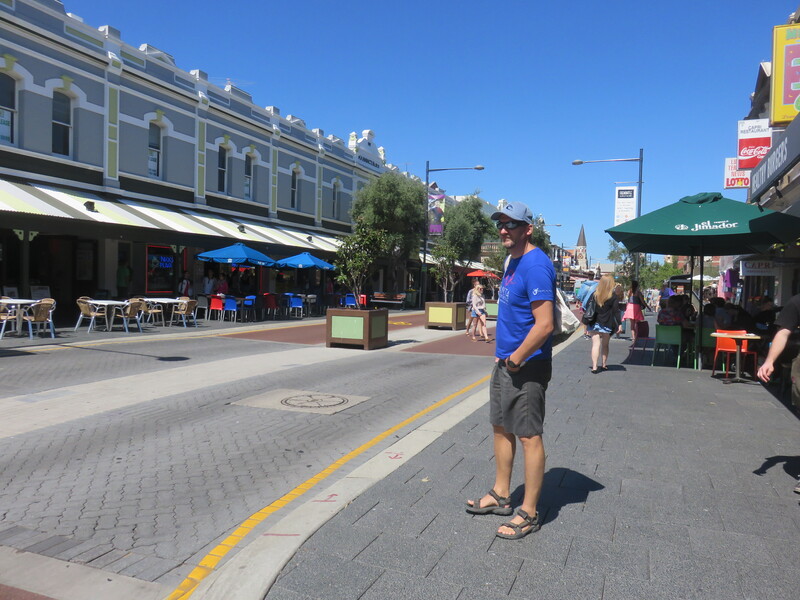 Today we decided to take a tour to Fremantle to see the town. The town is really a sleepy little thing. Nothing in Western Australia is really built all that high. It’s more of a wide base than high height. That gives a town like Fremantle a look like an old western town. A bit to modern signs, of course, but other than that you expect a cowboy to venture out on any of the balconies down the street. And maybe there should be a draw at noon on high street. But Fremantle is more British than American after all. old restaurant with a specialty of Fish ‘n Chips. It was a huge portion and none of us could finish it, but it was the best fish ‘n chips I ever had. As one of the original three settlements for then British colonists here, Fremantle carries a lot of history. Among them is the prison. Included in the prison is the longest cell block in the Southern Hemisphere. We took a tour there and had a great 75 minutes tour. There are a lot of history in the walls of such a place, and the guide was quite good at telling it. Among the more special stories was the one about the yard. The prisoners where in the yard from 8-16 every day, unless they did any kind of work. Come rain or shine, with no cover. In summer the temperature could go up to 55 centigrade, and during winter it would rain and the wind would freeze it up. The prison was only meant for punishment and discipline, no rehabilitation. And when the first settlers from UK came over it was to make it a prison area for the scum of England. That means basically the Scotch, Welsh or Irish. Though words from a though time. The first convicts had to break ground in a limestone hill to make the stones and to clear the ground to build the prison. That’s a future for ya. Driving a car is “worse” than driving a motorcycle when it comes to driving on the left side of the road, but I manage OK. 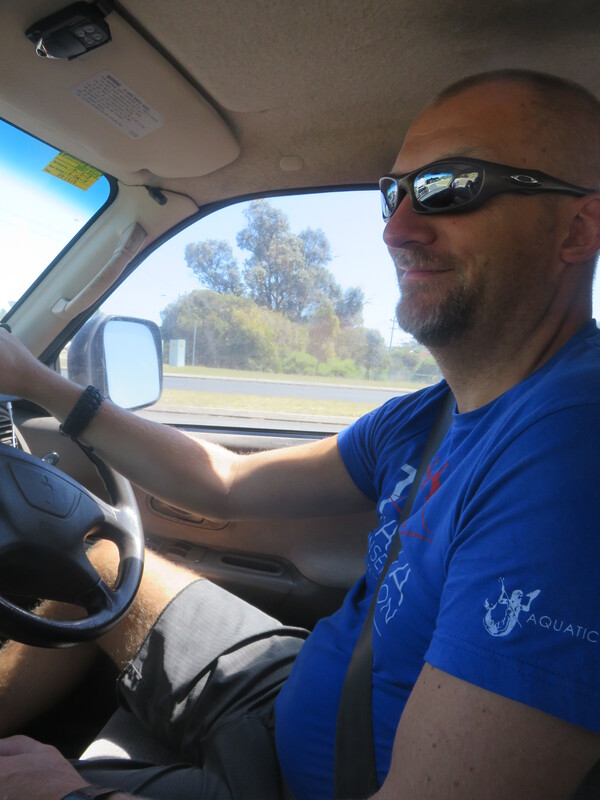 Since we borrowed Mike’s car, which is a rather large one I was a bit nervous in the start. Getting a fell for the left front corner took a few minutes, but I managed without a dent. Dinner with Damien and Mike after return. And the a G.I. joe movie. And as no one these days are only looking at one electronic device we are simultaneously planning next weeks road trip south and making this blog. Multitasking is the future, and the future is here. Categories: Australia | Tags: Australia, Perth | Permalink.